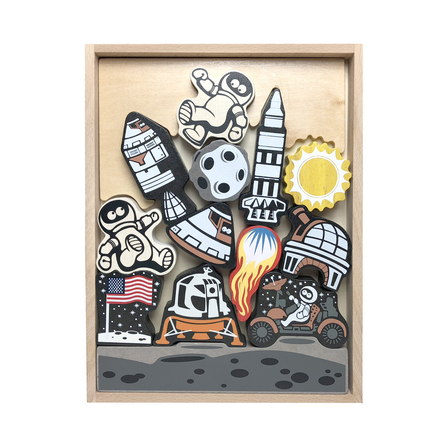 Celebrate the 50th Anniversary of the Apollo 11 Moon Landing. 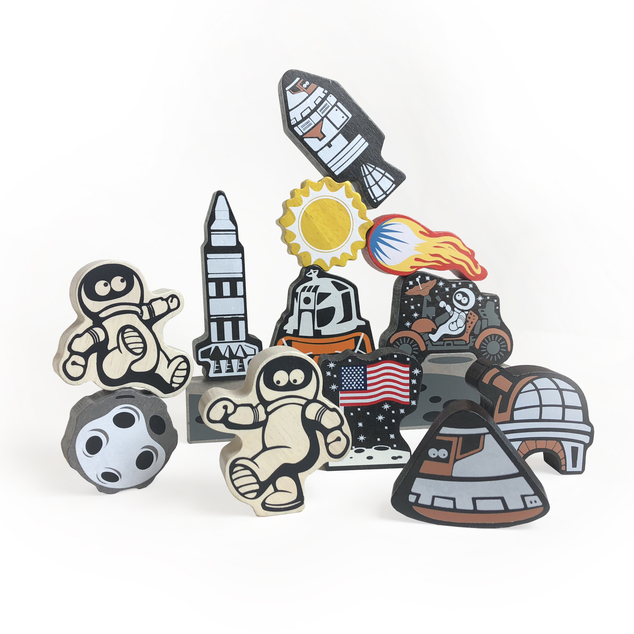 The Lunar Lander Playset is a wooden game and Moon Landing play set all in one! 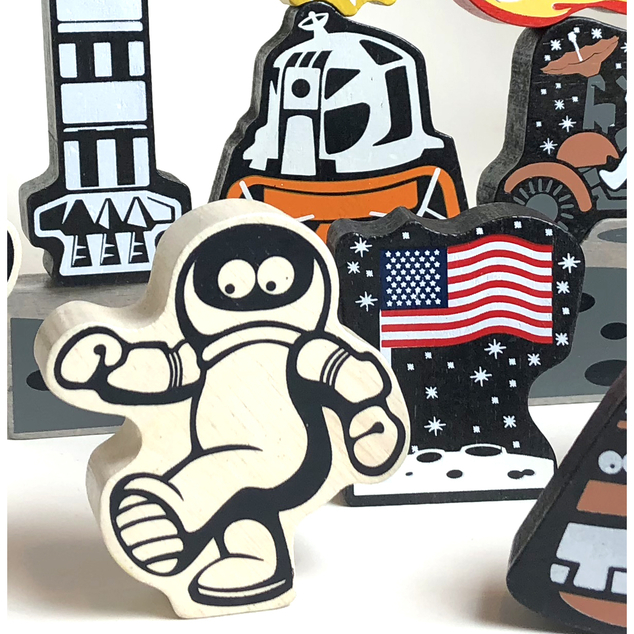 The “stack & crash” family game develops fine motor and problem-solving skills while the Apollo 11 inspired characters are great for imaginative storytelling. Parents and teaches will love introducing the heroes of the Apollo 11 mission. Clean up is easy with the wooden storage box that is included.